WILLEMSTAD - Children’s rights are still relatively young, with the UN Convention on the Rights of the Child entering into force only 27 years ago. Although the Convention on the Rights of the Child is the most widely-ratified international human rights treaty today, children across the globe still face many challenges, especially in these times of climate change, growing mobility and migration. 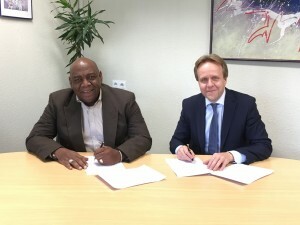 To connect international children’s rights to realities in the Caribbean Region, the Law Schools of Leiden University and the University of Curaçao Dr. Moises Da Costa Gomez have joined forces to organize a Spring School on the Frontiers of Children’s Rights in the Caribbean Region, to take place in Curaçao from 5 to 9 March 2018. The course, a spin-off of the established Leiden based Frontiers of Children’s Rights Summer School, is led by renowned child rights expert Prof. Ton Liefaard, UNICEF Chair in Children’s Rights at Leiden Law School. It offers a wealth of lectures and workshops on international and regional children’s rights issues affecting children, families and communities, and provides unique opportunities to build a network in the field of children’s rights. The Spring School is currently open for registration and welcomes government officials, (legal) professionals, researchers and advanced (law) students from the Caribbean region. More information about the course click here.